If you liked the look of our June calendar barn, you can see it in person on this year’s tour. It was built after the original barn was destroyed by fire in 1946, making it one of the youngest barns of this type. 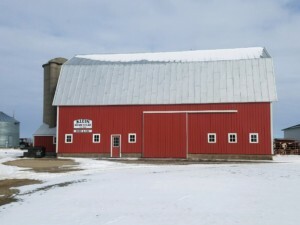 Lumber was cut from the farm’s own wood lot, and the barn was raised in the traditional manner. The poured concrete silo is filled each year to provide feed for Holstein steers. Mark Klein is a traditional Master Carpenter and has shown his love of history through his work. 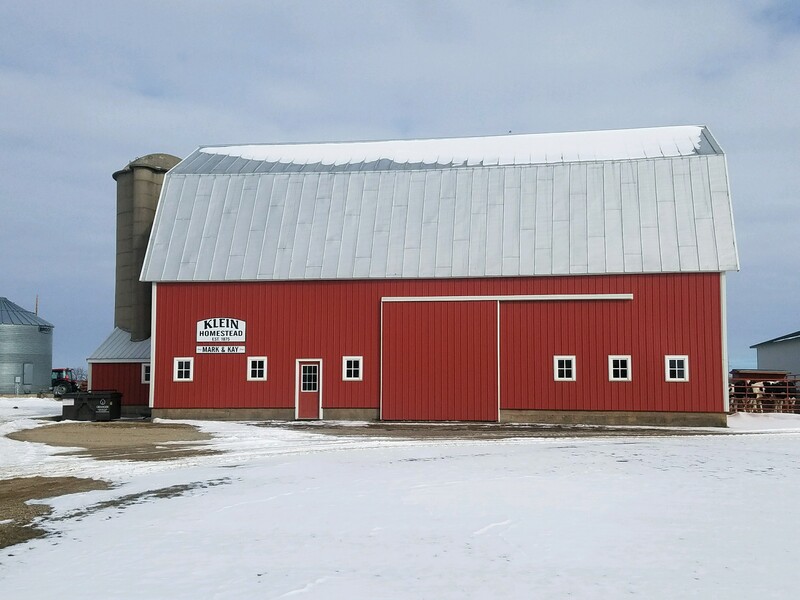 Mark purchased a man lift and its first job was to re-side his own barn. Now, it is one of those tools that he just can’t get along without.